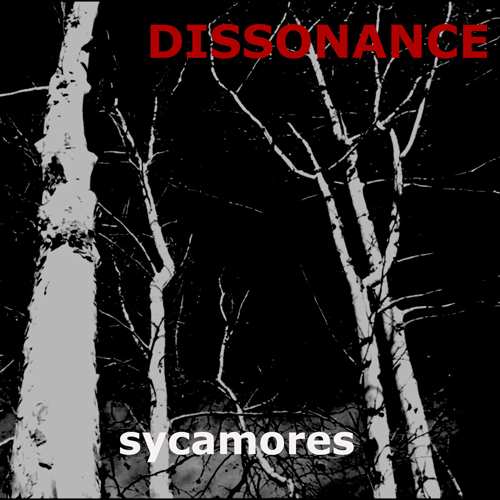 Blurb: Like walking through a dense forest with the ghosts of your dreams on a cold moonlit night; so describes the latest single from Dissonance. Following up on last year’s Void album, Cat Hall seems to be on a feverish pace toward building up the Dissonance catalog with this Sycamores single being a taste of what is yet to come. Stylistically, the new single moves further in the vein of darkly ambient electro that Void showcased, though with a less celestial focus. On the contrary, “Sycamores” feels more introspective and personal, as if Hall is chasing through a ghostly landscape conjured in her own dreams rather than the vast cosmic expanse. We open with the Federico Balducci mix, the track immediately evoking a somber and ethereal mood with Hall’s harmonious vocal layers creating an almost impenetrable miasma of emotion. A chorale of ambient synth pads and crystalline strums of guitar gradually enter to instill a sense of being lost among the titular trees on a cold moonlit night, an image supported by the single’s cover art; there’s something very Twin Peaks about it that one could imagine the track as an outtake from the songbook of Julee Cruise and Angelo Badalamenti. In contrast, Jack Alberson’s mix returns us to the world of past Dissonance with pumping beats and bass lines to make for a rhythmic and tense bit of electro/goth, the shrill synth and almost clocklike percussive accompaniments adding to the song’s darkly dreamy embrace. Information Society member and Hakatak International founder Paul Robb closes us out with a version that almost blends the best elements of the previous mixes, as a jazzy beat with some piano treatments are coupled with warbles of resonant synths and even some string progressions, bringing us back into David Lynch territory with the traces of a more otherworldly electronic tinge. Through it all is Hall’s magnificent command of dissonant harmonies that envelop the listener in a blanket of blissful unease. It’s clear by now that Dissonance has moved past the blazing aggression that defined the first album as each subsequent release shows a trajectory toward airier and more atmospheric textures without skimping on intense melodies and rhythms. As such, if the Sycamores single, along with 2017’s “Drive” music video, are any indications of what is yet to come from Cat Hall and Dissonance, then what a treat must be in store for the audience with a patient ear for the slow yet passionate burn.